I Brake for a window box ! 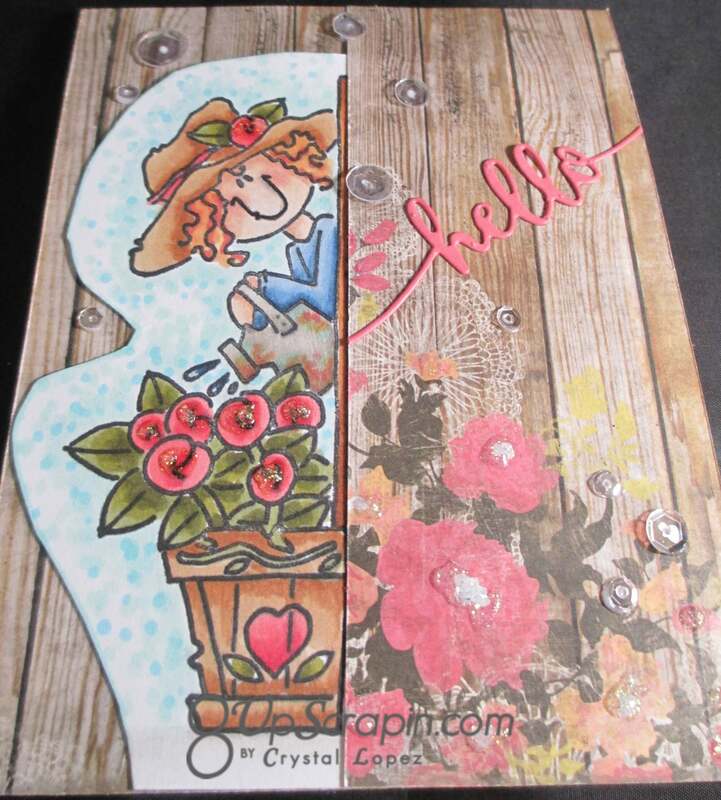 You are here: Home / Scrappy / I Brake for a window box ! 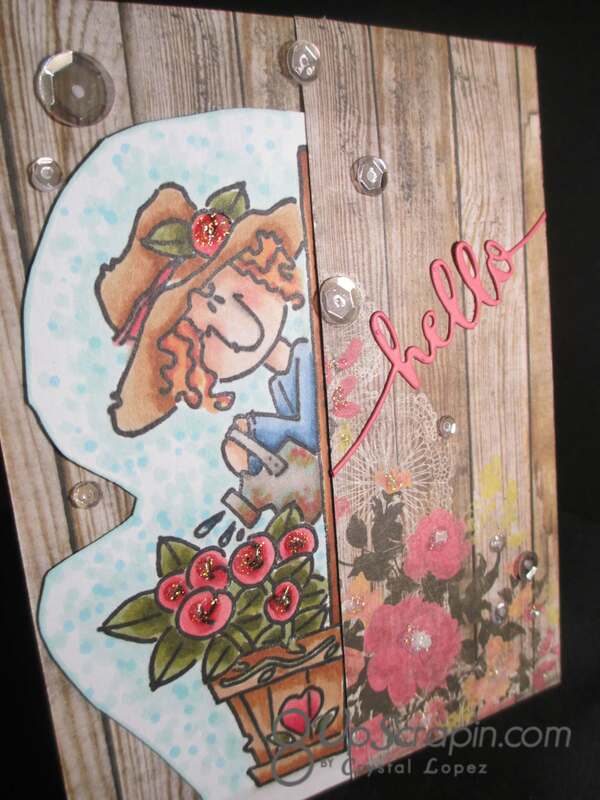 It’s Crystal back with a May flowers inspired card , I am using Happy Hannah Window Box , I copic colored my image and used a floral wood grain paper to create my card for today .I die cut a Hello sentiment and added diamond stickles and sparkle sequins . 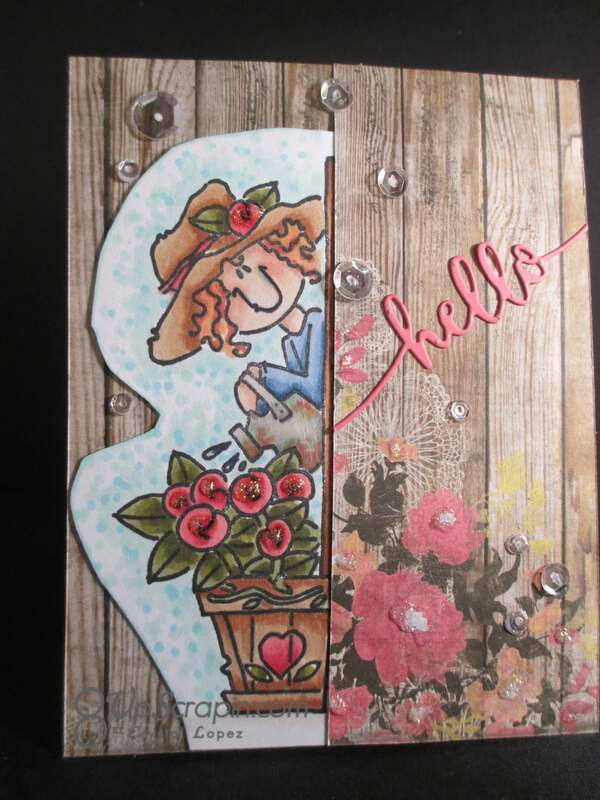 This card is perfect to add a quick note to say hello to a special someone .